Successfully Added ZIDOO X1 II Android 4K TV Box- RK3229 Quad-core CPU, Mali-400MP GPU, 4K Resolutions, 1GB RAM + 16GB Memory, ZDMC Media Player to your Shopping Cart. If you're on the lookout for one of the best Android-based streaming and media playback devices out there, then you will definitely want to take advantage of the ZIDOO X1 II's 4k playback capabilities! The ZIDOO X1 II Android TV Box is powered by a 1.5 GHz RK 3229 Cortex-A7 quad core CPU, along with a Mali-400MP OpenGL ES 2.0 GPU. This gives the ZIDOO X1 II the horsepower it needs to render 10-bit ultra-high definition video at 60 frames per second. But a powerful CPU and equally powerful GPU aren't the only draws of the ZIDOO X1 II. It also has support for DLNA, AirPlay, and Miracast through its Hapy cast system and this is on top of the usual WiFi and Bluetooth 4.0. All this allows a variety of devices to connect with the TV box, from streaming UHD video from your iPhone to accessing your library of videos stored on your Bluetooth wireless external hard drive. So many featuers all bundled together with the tried-and-tested Android 4.4 "Kitkat" operating system. You thus have a user interface that not only works smoothly but makes the most of the ZIDOO X1 II's hardware capabilities. All these features come together to form one of the most capable 4k Android TV boxes out on the market! 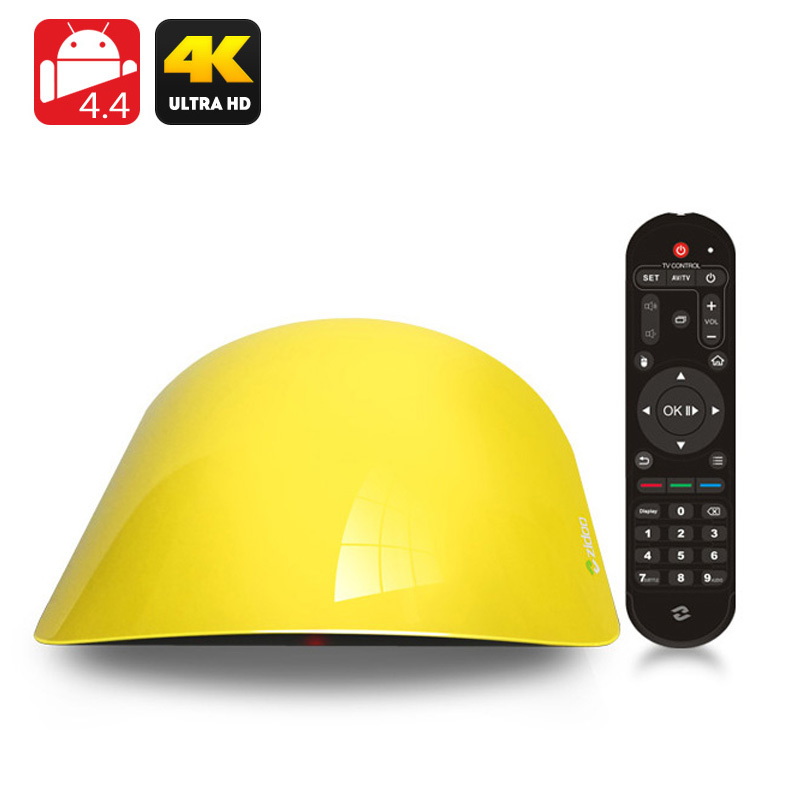 TheZIDOO X1 II 4k Android TV Box comes with a 12-month warranty, brought to you by the leader in electronic devices as well as wholesale Android TV boxes..